Ross McLaughlin has a reputation for getting results. An award-winning investigative consumer reporter with 18 Emmys® and 4 Edward R. Murrow Awards, McLaughlin has built a career on exposing injustice and giving a voice to those who can’t be heard. McLaughlin’s stories and specials have focused on making a positive impact on viewers, no matter where he’s worked and lived. As the head of Atlanta’s NBC affiliate’s Center for Investigative Action team, McLaughlin helped fulfil a station-wide commitment to provide positive change in the community. His in-depth investigative reporting has reached to the top levels of local and national government: EBT Welfare Fraud resulted in the introduction of a new law in Georgia; Red Light Camera Intersections was used during testimony at a Congressional hearing on Capitol Hill. 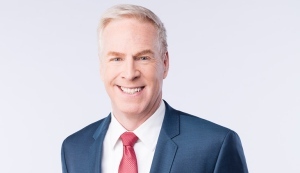 McLaughlin’s dynamic on-air presence and unique style of story-telling has earned him recognition in major markets throughout the U.S. and Canada. Prior to his work in Atlanta, McLaughlin was the face of WJLA-TV’s 7 On Your Side franchise in Washington, DC. His investigation into DC Metro Bus fatal crashes exposed reckless driving and resulted in a complete overhaul of driver training, monitoring, and disciplinary actions. His feature reporting has won accolades too. Grazing For Groceries, McLaughlin’s interpretation of a supermarket chain’s unusual move to encourage shoppers to sample products before buying them, earned him an Emmy. In 2002 and 2003, McLaughlin worked as part of the on-air team at nationally syndicated Celebrity Justice, digging into high-profile celebrity court cases, including Michael Jackson, Robert Blake, and Winona Ryder’s shoplifting trial. His work as an investigative journalist led to national television appearances, including Larry King Live, Good Morning America, The O’Reilly Factor, Court TV, and MSNBC. Prior to his time in Los Angeles, McLaughlin was the Consumer Investigative Reporter for KIRO-TV in Seattle. He pioneered undercover investigative techniques, including his landmark Odometer Rollback, where he captured a used-car dealer’s scheme on camera, an industry first. McLaughlin received top honors for his work from the National Association of Consumer Advocates. A dual U.S. and Canadian citizen, McLaughlin was nationally recognized as the “Trouble Shooter,” Canada’s first consumer investigative television journalist. Prior to moving to the U.S. in 1996, McLaughlin also anchored prime-time weekday newscasts at ITV (now Global) in Edmonton, Alberta. He began his broadcasting career as a radio host and producer in Calgary and Medicine Hat, Alberta. McLaughlin studied Broadcast Journalism at the Southern Alberta Institute of Technology in Calgary, and attended Royal Roads Military College in British Columbia.